S Moore was appointed colonel, 11th Alabama Infantry, on 11 June, 1861. S F Hale was appointed lieutenant colonel, 11th Alabama Infantry, on 11 June, 1861. Captain A Grace, Jr., 3rd Alabama Infantry, Company E, was appointed captain, 11th Alabama Infantry, on 12 July, 1861. The company was accepted in Confederate service at Linden, Marengo County, Alabama, on 4 May, 1861, and was mustered in Confederate service for the war at the Agricultural & Mechanics' Society Fairgrounds, on Fifth Street, three quarters of a mile southwest of Lynchburg, Campbell County, Virginia, by Major & Assistant Adjutant H L Clay, Confederate States Army, on 30 June, 1861, dated 11 June, 1861. The company was accepted in Confederate service Eutaw, Greene County, Alabama, on 27 May, 1861, and was mustered in Confederate service for the war at the Agricultural & Mechanics' Society Fairgrounds, on Fifth Street, three quarters of a mile southwest of Lynchburg, Campbell County, Virginia, by Major & Assistant Adjutant H L Clay, Confederate States Army, on 30 June, 1861, dated 11 June, 1861. The company was accepted in Confederate service at Clinton, Greene County, Alabama, on 26 April, 1861, and was mustered in Confederate service for the war at the Agricultural & Mechanics' Society Fairgrounds, on Fifth Street, three quarters of a mile southwest of Lynchburg, Campbell County, Virginia, by Major & Assistant Adjutant H L Clay, Confederate States Army, on 28 June, 1861, dated 11 June, 1861. The company was accepted in Confederate service at Demopolis, Marengo County, Alabama, on 15 May, 1861, and was mustered in Confederate service for the war at the Agricultural & Mechanics' Society Fairgrounds, on Fifth Street, three quarters of a mile southwest of Lynchburg, Campbell County, Virginia, by Major & Assistant Adjutant H L Clay, Confederate States Army, on 30 June, 1861, dated 11 June, 1861. The company was accepted in Confederate service at St Stephens, Washington County, Alabama, on 11 June, 1861, and was mustered in Confederate service for the war at the Agricultural & Mechanics' Society Fairgrounds, on Fifth Street, three quarters of a mile southwest of Lynchburg, Campbell County, Virginia, by Major & Assistant Adjutant H L Clay, Confederate States Army, on 30 June, 1861, dated 11 June, 1861. The company was accepted in Confederate service at Centreville, Bibb County, Alabama, on 23 April, 1861, and was mustered in Confederate service for the war at the Agricultural & Mechanics' Society Fairgrounds, on Fifth Street, three quarters of a mile southwest of Lynchburg, Campbell County, Virginia, by Major & Assistant Adjutant H L Clay, Confederate States Army, on 30 June, 1861, dated 11 June, 1861. The company was accepted in Confederate service at Tuscaloosa, Tuscaloosa County, Alabama, on 11 June, 1861, and was mustered in Confederate service for the war at the Agricultural & Mechanics' Society Fairgrounds, on Fifth Street, three quarters of a mile southwest of Lynchburg, Campbell County, Virginia, by Major & Assistant Adjutant H L Clay, Confederate States Army, on 30 June, 1861, dated 11 June, 1861. The company was accepted in Confederate service at Carrollton, Pickens County, Alabama, on 11 June, 1861, and was mustered in Confederate service for the war at the Agricultural & Mechanics' Society Fairgrounds, on Fifth Street, three quarters of a mile southwest of Lynchburg, Campbell County, Virginia, by Major & Assistant Adjutant H L Clay, Confederate States Army, on 30 June, 1861, dated 11 June, 1861. The company was accepted and mustered in Confederate service at Fayette Courthouse, Fayette County, Alabama, on 11 June, 1861, and was mustered in Confederate service for the war at the Agricultural & Mechanics' Society Fairgrounds, on Fifth Street, three quarters of a mile southwest of Lynchburg, Campbell County, Virginia, by Major & Assistant Adjutant H L Clay, Confederate States Army, on 2 July, 1861, dated 11 June, 1861. The company was accepted in Confederate service at Marion, Perry County, Alabama, on 1 June, 1861, and was mustered in Confederate service for the war at the Agricultural & Mechanics' Society Fairgrounds, on Fifth Street, three quarters of a mile southwest of Lynchburg, Campbell County, Virginia, by Major & Assistant Adjutant H L Clay, Confederate States Army, on 30 June, 1861, dated 11 June, 1861. Captain H Tailbird's, 11th Alabama Infantry, Company K, resignation was accepted by Special Orders No.116, Paragraph VII, Adjutant & Inspectors General's Office, Richmond, Henrico County, Virginia, on 6 August, 1861, and First Lieutenant M M England, 11th Alabama Infantry, Company K, was appointed captain, 11th Alabama Infantry, Company K, on 20 August, 1861. "Rev. H. Talbird, D. D., President of Harvard College, Alabama,one of the most distinguished Baptist clergyman of that State, has been for several days in this city as Captain of a company." The 11th Alabama Infantry was accepted in Confederate service on 11 June, 1861, and was ordered to rendezvous at Montgomery, Montgomery County, Alabama, on 21 June, 1861. Tuscaloosa, Tuscaloosa County, to Montgomery, Montgomery County, Alabama, Company G, 16-22 June, 1861: The Tuscaloosa Rifles was ordered to Montgomery, Montgomery County, Alabama, on 16 June, 1861, and arrived at Randolph via Centreville, Bibb County, Alabama, on 17 June, 1861. The company arrived by the Alabama & Tennesse River Railroad at Selma, Dallas County, Alabama, in the evening on 19 June, 1861, and was ordered to proceed by the steamer Duke on the Alabama River to Montgomery, Montgomery County, Alabama, on 21 June, 1861. The Tuscaloosa Rifles arrived at the Alabama State Agricultural Society Fairgrounds, at the rear of the Montgomery & West Point Railroad, north of Montgomery, Montgomery County, Alabama, on 22 June, 1861. Fayette Courthouse, Pickens County, to Montgomery, Montgomery County, Alabama, Company I, 18-25 June, 1861: The Fayette & Pickens Rifles was ordered to Montgomery, Montgomery County, Alabama, on 18 June, 1861, and arrived at Palmetto, Pickens County, Alabama, the same day. The company was ordered to Columbus, Lowndes County, Mississippi, on 19 June, 1861, and arrived via Millport, Lamar County, Alabama, at 10 PM on 20 June, 1861. The Fayette and Pickens Rifles was ordered to proceed by the Mobile & Ohio railroad to Mobile, Mobile County, Alabama, at 2 PM on 21 June, 1861, and arrived at 6 AM on 22 June, 1861. The company was ordered to proceed by the steamer Coquette to Montgomery, Montgomery County, Alabama, at 4 PM the same day and arrived on the Alabama River at the Alabama State Agricultural Society Fairgrounds, at the rear of the Montgomery & West Point Railroad, north of Montgomery, Montgomery County, Alabama, in the afternoon on 25 June, 1861. Pickens County, to Montgomery, Montgomery County, Alabama, Company H, 18-23 June, 1861: The Pickens County Guards (108) was ordered to Montgomery, Montgomery County, Alabama, on 18 June, 1861, and arrived at Brooksville, Noxubee County, Mississippi, the same day. The company was ordered to proceed by the Mobile & Ohio Railroad to Mobile, Mobile County, Alabama, on 19 June, 1861, and arrived on 20 June, 1861. The Pickens County Guards was ordered to proceed by steamer to Montgomery, Montgomery County, Alabama, the same day and arrived on the Alabama River at the Alabama State Agricultural Society Fairgrounds, at the rear of the Montgomery & West Point Railroad, north of Montgomery, Montgomery County, Alabama, on 23 June, 1861. Note: Captain R Chapman, Jr., Pickens County Guards, was stationed at Mobile, Mobile County, Alabama, on 26 June, 1861, and arrived at Lynchburg, Campbell County, Virginia, on 2 July, 1861. Clinton & Eutaw, Greene County, to Montgomery, Montgomery County, Alabama, Companies B & C, 19-20 June, 1861: The Confederate Guards was stationed at Newbern, Hale County, Alabama, on 18 June, 1861, and was ordered to proceed by the Alabama & Mississippi Rivers Railroad to Selma, Dallas County, Alabama, on 19 June, 1861. The company was accompanied by Colonel S Moore and Lieutenant Colonel S F Hale, 11th Alabama Infantry, and arrived at Selma, Dallas County, via Uniontown, Perry County, Alabama, on 19 June, 1861. The Greene County Greys was stationed at Selma, Dallas County, Alabama, the same day and the Confederate Guards and the Greene County Greys were ordered to proceed by the steamer Faney on the Alabama River to Montgomery, Montgomery County, Alabama, at 10 PM on 19 June, 1861, and were accompanied Colonel S Moore and Lieutenant Colonel S F Hale, 11th Alabama Infantry. The Confederate Guards and the Greene County Greys arrived at the Alabama State Agricultural Society Fairgrounds, at the rear of the Montgomery & West Point Railroad, north of Montgomery, Montgomery County, Alabama, at 2 PM on 20 June, 1861. Demopolis, Marengo County, to Montgomery, Montgomery County, Alabama, Company D, 19-21 June, 1861: The Canebrake Legion, Company B, was stationed five miles east of Demopolis, Marengo County, Alabama, on 18 June, 1861, and was ordered to Montgomery, Montgomery County, Alabama, on 19 June, 1861. The company arrived by the Alabama & Mississippi Rivers Railroad at Selma, Dallas County, via Uniontown, Perry County, Alabama, in the evening on 20 June, 1861, and was ordered to proceed by the steamer Duke on the Alabama River to Montgomery, Montgomery County, Alabama, in the evening on 21 June, 1861. The Canebrake Legion, Company B, was accompanied by the Marengo Rifles and arrived at the Alabama State Agricultural Society Fairgrounds, at the rear of the Montgomery & West Point Railroad, north of Montgomery, Montgomery County, Alabama, on 22 June, 1861. Linden, Marengo County, to Montgomery, Montgomery County, Alabama, Company A, 20-22 June, 1861: The Marengo Rifles was ordered to Montgomery, Montgomery County, Alabama, at 4.30 AM on 20 June, 1861, and arrived at Dayton, Marengo County, Alabama, at 10 AM the same day. The company was ordered to Uniontown, Perry County, Alabama, at 5 PM on 20 June, 1861, and arrived in the evening the same day. The Marengo Rifles was ordered to proceed by the Alabama & Mississippi Rivers Railroad to Selma, Dallas County, Alabama, on 21 June, 1861, and was ordered to proceed by the steamer Duke on the Alabama River to Montgomery, Montgomery County, Alabama, in the evening on 21 June, 1861. The Marengo Rifles was accompanied by the Canebrake Legion, Company B, and arrived at the Alabama State Agricultural Society Fairgrounds, at the rear of the Montgomery & West Point Railroad, north of Montgomery, Montgomery County, Alabama, on 22 June, 1861. Centreville, Bibb County, to Montgomery, Montgomery County, Alabama, Company F, 21-25 June, 1861: The Bibb Greys was ordered to Montgomery, Montgomery County, Alabama, on 21 June, 1861, and arrived by steamer on the Alabama River at the Alabama State Agricultural Society Fairgrounds, at the rear of the Montgomery & West Point Railroad, north of Montgomery, Montgomery County, via Randolph, Bibb County, and Selma, Dallas County, Alabama, on 25 June, 1861. St Stephens, Washington County, Alabama, to Lynchburg, Campbell County, Virginia, Company E, 21-28 June, 1861: The Washington Sharpshooters or Yancey Rifles was ordered to Mobile, Mobile County, Alabama, on 21 June, 1861, and arrived at St Stephens Landing, Washington County, Alabama, the same day. The company arrived by the steamer Rescue on the Mobile River at Mobile, Mobile County, Alabama, in the morning on 22 June, 1861, and by the Virginia & Tennessee Railroad at Lynchburg, Campbell County, Virginia, on 28 June, 1861. Marion, Perry County, Alabama, to Lynchburg, Campbell County, Virginia, Company K, 21-28 June, 1861: The Independent Volunteers was ordered to proceed by the Cahaba, Marion & Greensboro Railroad to Montgomery, Montgomery County, Alabama, on 21 June, 1861, and arrived by the Virginia & Tennessee Railroad at Lynchburg, Campbell County, Virginia, in the morning on 28 June, 1861. Note: The 11th Alabama Infantry, Companies B and C, arrived at the Alabama State Agricultural Society Fairgrounds, at the rear of the Montgomery & West Point Railroad, north of Montgomery, Montgomery County, Alabama, on 20 June, 1861; Company D on 21 June, 1861; Companies A and G on 22 June, 1861; Company H on 23 June, 1861; and Companies F and I on 25 June, 1861. Alabama State Agricultural Society Fairgrounds, at the rear of the Montgomery & West Point Railroad, north of Montgomery, Montgomery County, Alabama, to Lynchburg, Campbell County, Virginia, Companies B & C, 21-25 June, 1861: The Confederate Guards and the Greene County Greys were ordered to proceed by the Montgomery & West Point Railroad to Lynchburg, Campbell County, Virginia, in the morning on 21 June, 1861, and arrived by the Western & Atlantic Railroad at Dalton, Whitfield County, via Atlanta, Fulton County, Georgia, at 2 AM on 22 June, 1861. The companies arrived by the East Tennessee & Georgia Railroad at Knoxville, Knox County, via Chattanooga, Hamilton County, Tennessee, in the afternoon the same day and arrived by the Virginia & Tennessee Railroad at Lynchburg via Bristol, Sullivan County, Tennessee, at 5 PM on 25 June, 1861. Alabama State Agricultural Society Fairgrounds, at the rear of the Montgomery & West Point Railroad, north of Montgomery, Montgomery County, Alabama, to Lynchburg, Campbell County, Virginia, Company D, 24-27 June, 1861: The Canebrake Legion, Company B, was ordered to proceed by the Montgomery & West Point Railroad to Lynchburg, Campbell County, Virginia, on 24 June, 1861, and arrived by the Virginia & Tennessee Railroad via Atlanta and Dalton, Fulton County, Georgia; Knoxville, Knox County; Chattanooga, Hamilton County, Tennessee; and Bristol, Sullivan County, Tennessee, on 27 June, 1861. Alabama State Agricultural Society Fairgrounds, at the rear of the Montgomery & West Point Railroad, north of Montgomery, Montgomery County, Alabama, to Lynchburg, Campbell County, Virginia, Companies A, F, G, & H, 25-28 June, 1861: The Marengo Rifles, the Bibb Greys, the Tuscaloosa Rifles, and the Pickens County Guards were ordered to proceed by the Montgomery & West Point Railroad to Lynchburg, Campbell County, Virginia, on 25 June, 1861, and arrived by the Virginia & Tennessee Railroad via Atlanta and Dalton, Fulton County, Georgia; Knoxville, Knox County; Chattanooga, Hamilton County, Tennessee; and Bristol, Sullivan County, Tennessee, on 28 June, 1861. Alabama State Agricultural Society Fairgrounds, at the rear of the Montgomery & West Point Railroad, north of Montgomery, Montgomery County, Alabama, to Lynchburg, Campbell County, Virginia, Company I, 25 June-1 July, 1861: The Fayette and Pickens Rifles were ordered to proceed by the Montgomery & West Point Railroad to Lynchburg, Campbell County, Virginia, at 8 PM 25 June, 1861, and arrived by the Virginia & Tennessee Railroad via Atlanta and Dalton, Fulton County, Georgia; Knoxville, Knox County; Chattanooga, Hamilton County, Tennessee; and Bristol, Sullivan County, Tennessee, on 1 July, 1861. Note: The 11th Alabama Infantry, Companies B and C, arrived by the Virginia & Tennessee Railroad at the Agricultural & Mechanics' Society Fairgrounds, on Fifth Street, three quarters of a mile southwest of Lynchburg, Campbell County, Virginia, on 25 June, 1861; Company D on 27 June, 1861; Companies A, E, F, G, H, and K on 28 June, 1861; and Company I on 2 July, 1861. Mustered for the war, Agricultural & Mechanics' Society Fairgrounds, on Fifth Street, three quarters of a mile southwest of Lynchburg, Campbell County, Virginia, 28, 30 June & 2 July, 1861, dated 11 June, 1861: The 11th Alabama Infantry, Company C, was mustered in Confederate service for the war at the Agricultural & Mechanics' Society Fairgrounds, on Fifth Street, three quarters of a mile southwest of Lynchburg, Campbell County, Virginia, by Major & Assistant Adjutant General H L Clay, Confederate States Army, on 28 June, 1861, dated 11 June, 1861; Companies, A, B, D, E, F, G, H, and K in the morning on 30 June, 1861, dated 11 June, 1861; and Company I on 2 July, 1861, dated 11 June, 1861. Agricultural & Mechanics' Society Fairgrounds, on Fifth Street, three quarters of a mile southwest of Lynchburg, Campbell County, to Richmond, Henrico County, Virginia, Companies A, B, C, F, I, & K, 4-5 July, 1861: The 11th Alabama Infantry, Companies A, B, C, F, I, and K, were ordered to proceed by the Southside Railroad to Richmond, Henrico County, Virginia, in the evening on 4 July, 1861, and arrived by the Richmond & Danville Railroad via Burkeville Junction, Nottoway County, Virginia, in the morning on 5 July, 1861. Agricultural & Mechanics' Society Fairgrounds, on Fifth Street, three quarters of a mile southwest of Lynchburg, Campbell County, to Richmond, Henrico County, Virginia, Companies D, E, G, & H , 6 July, 1861: The 11th Alabama Infantry, Companies D, E, G, and H, were ordered to proceed Southside Railroad to Richmond, Henrico County, Virginia, in the morning on 6 July, 1861, and arrived by the Richmond & Danville Railroad via Burkeville Junction, Nottoway County, Virginia, the same day. Note: The 11th Alabama Infantry was stationed at Camp Clay, on the James River, east of the Reservoir or Water Works and Hollywood Cemetery, Oregon Hill, Richmond, Henrico County, Virginia, between 5 and 12 July, 1861. Camp Clay, on the James River, east of the Reservoir or Water Works & Hollywood Cemetery, Oregon Hill, Richmond, to Winchester, Frederick County, Virginia, 12-14 July, 1861: The 11th Alabama Infantry was ordered to proceed by the Virginia Central Railroad to Winchester, Frederick County, Virginia, by Special Orders No.218, Paragraph IV, Headquarters, Virginia Forces, Richmond, Henrico County, Virginia, at 6 PM on 12 July, 1861, dated 11 July, 1861, and arrived by the Manassas Gap Railroad at Strasburg, Shenandoah County, via Gordonsville, Orange County, and Manassas Junction, Prince William County, Virginia, at 11 AM on 14 July, 1861. The regiment was ordered to proceed by the Valley Turnpike to Winchester, Frederick County, Virginia, at 1 PM the same day and arrived at Winchester, Frederick County, Virginia, in the evening on 14 July, 1861. The 11th Alabama Infantry was ordered to Red Bud Run, on the Martinsburg Turnpike, one and a half miles north of Winchester, Frederick County, Virginia, on 15 July, 1861. Note: The 11th Alabama Infantry was assigned to the Fifth Brigade, Army of the Shenandoah, under the command of Brigadier General E K Smith, Confederates States Army, one and a half miles north of Winchester, Frederick County, Virginia, on 15 July, 1861. The 11th Alabama Infantry was ordered to Manassas Junction, Prince William County, Virginia, by Special Orders No.1, Headquarters, Army of the Shenandoah, Winchester, Frederick County, Virginia, at 1 AM on 18 July, 1861, dated 17 July, 1861. Red Bud Run, on the Martinsburg Turnpike, one & a half miles north of Winchester, Frederick County, to Piedmont Station, Fauquier County, Virginia, 18-19 July, 1861: The 11th Alabama Infantry was ordered to proceed by the Millwood Turnpike to Piedmont Station, Fauquier County, Virginia, at 3 PM on 18 July, 1861, and arrived at Berry's Ferry, on the Shenandoah River, via Millwood, Clarke County, Virginia, at 12 AM on 19 July, 1861. The regiment was ordered across the Shenandoah River at Berry's Ferry, three and a half miles southeast of Millwood, Clarke County, Virginia, at 6 AM the same day and arrived at Piedmont Station via Ashby's Gap and Paris, Fauquier County, Virginia, at 1 PM on 19 July, 1861. 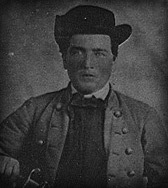 Note: Brigadier General E K Smith, Confederate States Army, assumed command of the Fourth Brigade, Army of the Shenandoah, at Piedmont Station, Fauquier County, Virginia, in the morning on 21 July, 1861, and was ordered to proceed by the Manassas Gap Railroad to Manassas Junction, Virginia, at 5 AM the same day (See the Fourth Brigade, Army of the Shenandoah). Piedmont Station, Fauquier County, to Manassas Junction, Prince William County, Virginia, 22 July, 1861: The 11th Alabama Infantry arrived by the Manassas Gap Railroad at Camp Pickens, Manassas Junction, Prince William County, Virginia, at 10 AM on 22 July, 1861. Camp Pickens, Manassas Junction, Prince William County, Virginia, to F Lewis' Farm, a quarter of a mile southwest of Lewis' Ford, on the Bull Run River, 22 July, 1861: The 11th Alabama Infantry was ordered to F Lewis' Farm, a quarter of a mile southwest of Lewis' Ford, on the Bull Run River, at 12 PM on 22 July, 1861. F Lewis' Farm, a quarter of a mile southwest of Lewis' Ford, on the Bull Run River, to two miles northeast of Bristoe Station, & half a mile northeast of the Orange & Alexandria Railroad, Prince William County, Virginia, 9 & 10 August, 1861: The 11th Alabama Infantry was ordered two miles northeast of Bristoe Station, and half a mile northeast of the Orange & Alexandria Railroad, Prince William County, Virginia, on 9 and 10 August, 1861. Surrendered at Appomattox Courthouse, Appomattox County, Virginia, 9 April, 1865: The 11th Alabama Infantry surrendered at Appomattox Courthouse, Appomattox County, Virginia, on 9 April, 1865. The 11th Alabama Infantry was assigned to the Fifth Brigade, Second Corps, Army of the Potomac, under the command of Senior Colonel J H Forney, 10th Alabama Infantry, on 25 September, 1861.